If making the classic Nigerian Puff Puff is still a huge challenge for you, try it using the recipe detailed on this page. Pizza flour is perfect for Nigerian Puff Puff because it already contains yeast. Most brands contain the right amount of yeast. So if you can buy pizza flour where you live, use it. Because the pizza flour already contains yeast, there is no yeast in the list of ingredients. Sift the pizza flour into a clean dry bowl, add the nutmeg, sugar and salt. Mix well. 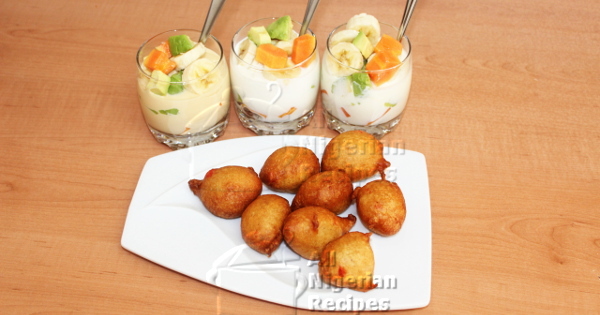 Serve warm with a chilled drink or Nigerian Style Fruit Salad. Feel free to top it up with jam and other condiments you normally eat doughnuts with.